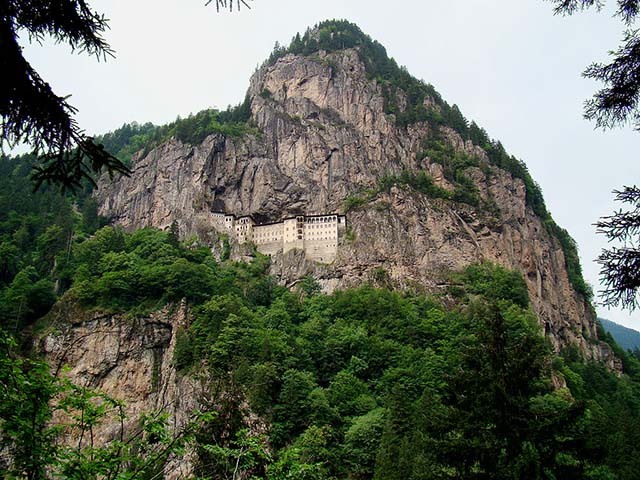 ﻿Sumela Monastery is a Greek Orthodox monastery dedicated to the Virgin Mary. It is located in Trabzon Province, Turkey. The monastery was founded in 386 AD during the reign of the Emperor Theodosius I. The was restored by various emperors, and reached its present form in the 13th century AD after gaining prominence during the existence of the Empire of Trebizond.